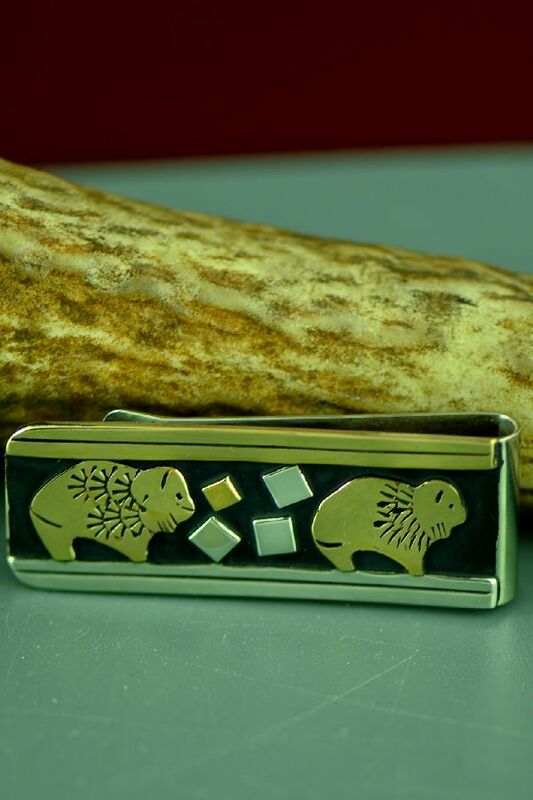 This 12ktGF and sterling silver money clip is intricately handcrafted by Rosita Singer, Navajo. Rosita (Rose) was married for almost 40 years to world renowned silversmith Tommy Singer, Navajo. Tommy worked for years with his family creating beautiful jewelry in silver and gold. His work is coveted throughout the world by collectors. Since his passing in 2014, Tommy's wife, Rosita, has continued his legacy. The design depicts 2 Buffalo. 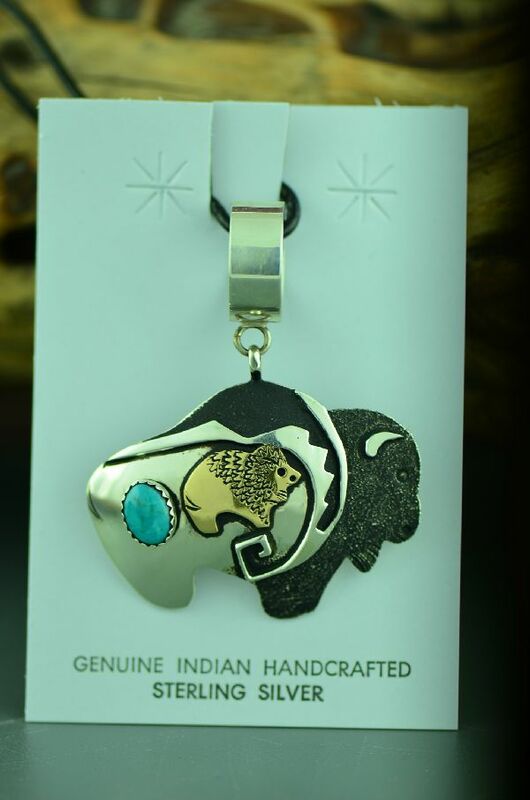 Rose has oxidized the sterling silver to give this piece a truly unique look and has also accented the Buffalo with 12ktGF. The buffalo is believed to bring endurance to overcome and is a great emotional courage provider to all. This wonderful money clip measures 2-1/8” tall by 8/8” wide. This is stainless steel backed for strength.